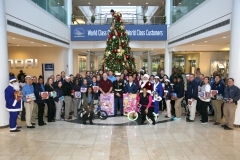 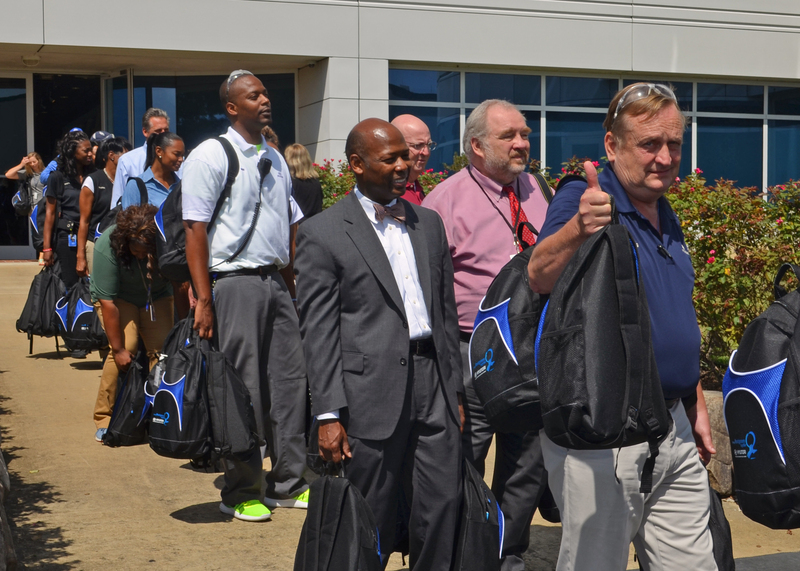 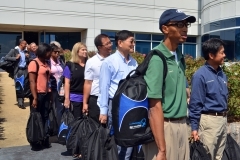 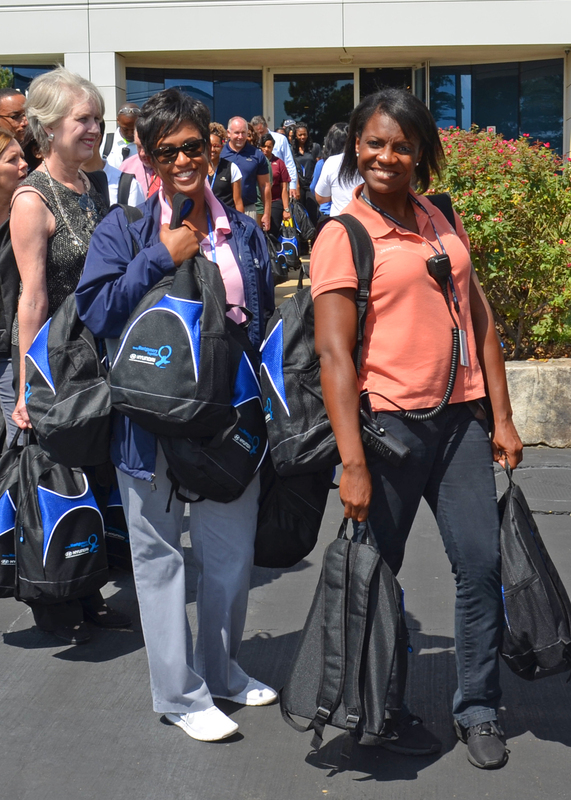 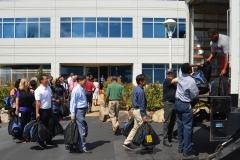 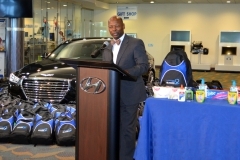 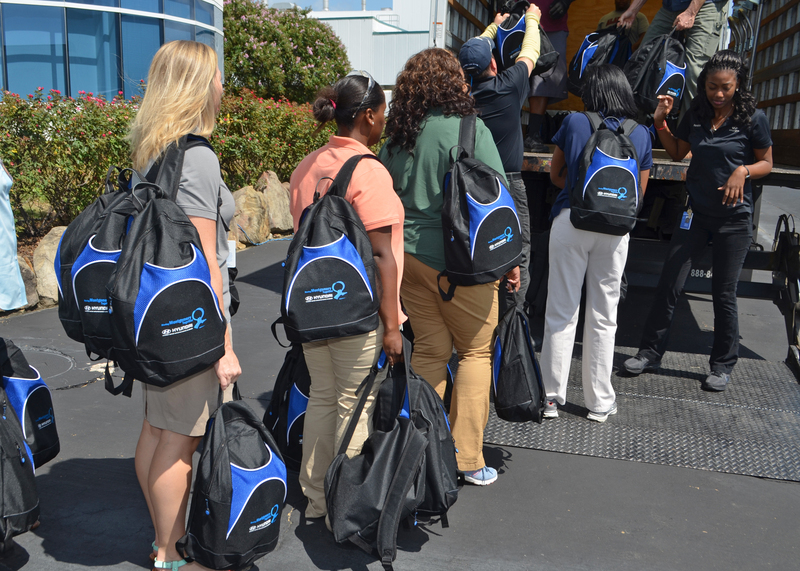 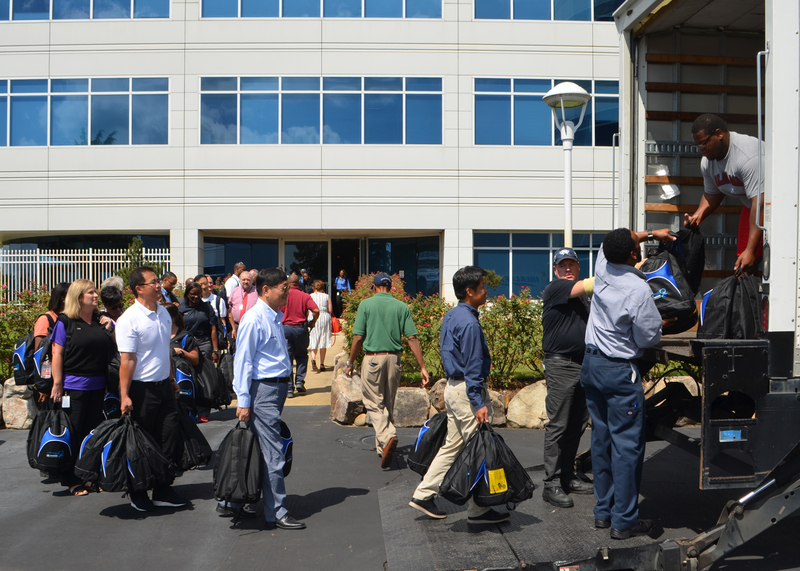 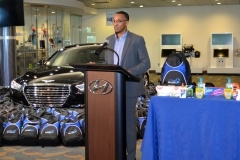 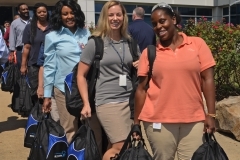 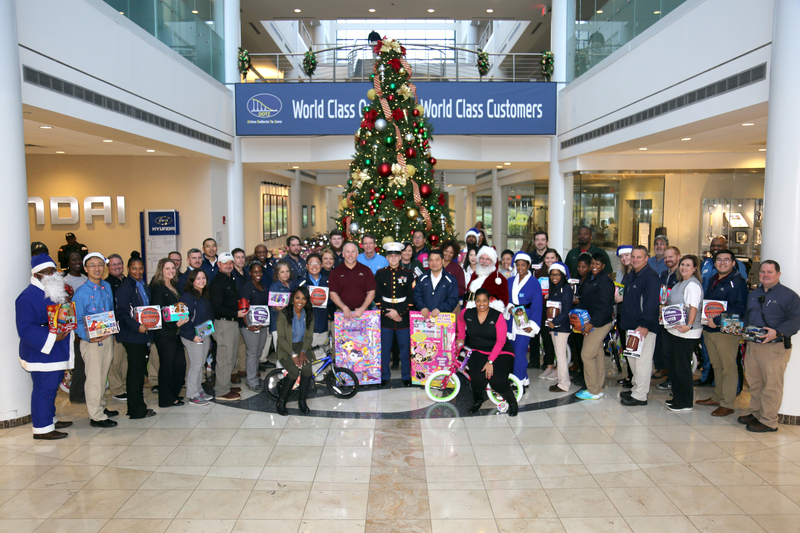 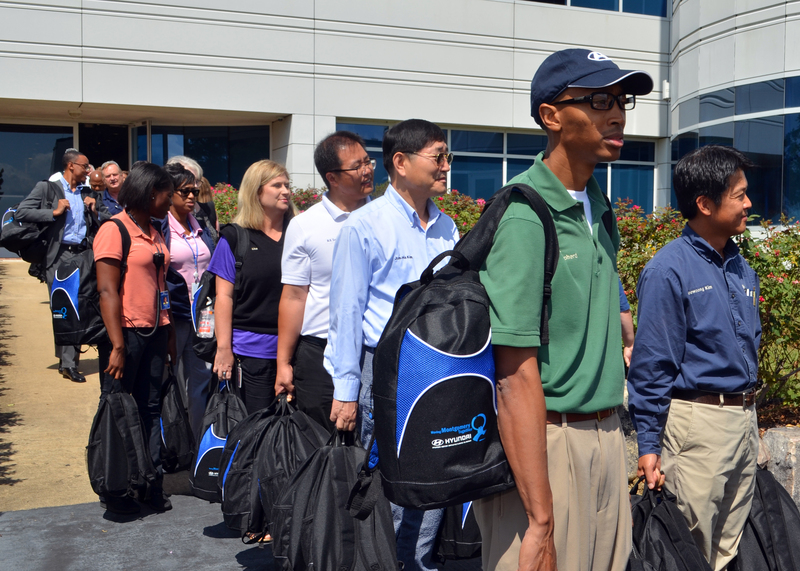 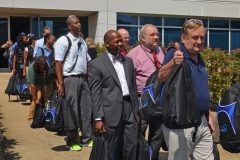 HYUNDAI MOTOR MANUFACTURING ALABAMA TEAM MEMBERS FILL MORE THAN 400 BACKPACKS WITH OVER $8,000 IN SCHOOL SUPPLIES | Hyundai Motor Manufacturing Alabama,LLC. 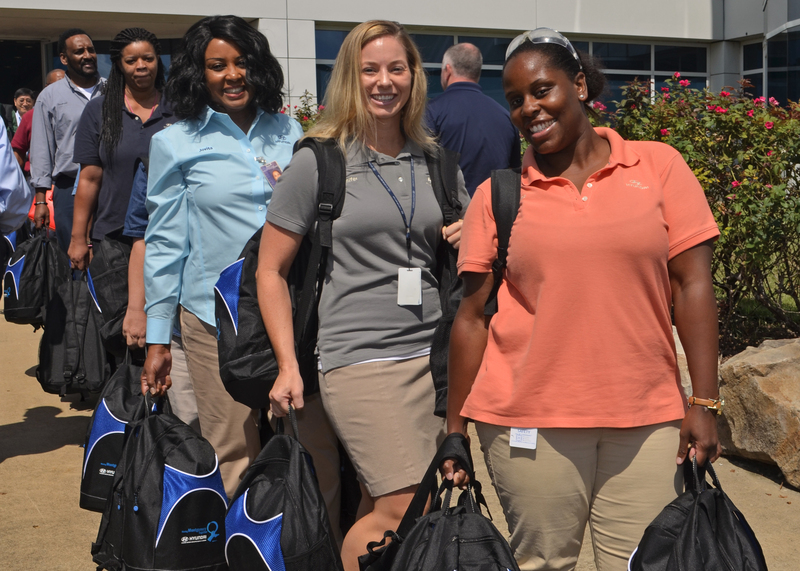 Montgomery, Ala., – On Friday, August 18, 2017, Hyundai Motor Manufacturing Alabama (HMMA) Team Members donated school supplies to fill more than 400 backpacks and tote bags for Montgomery Public School System students. 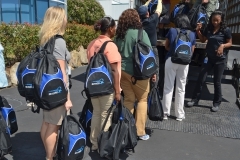 The backpacks/totes and supplies will help these students throughout the new school year with many of the tools they’ll need for a year of learning. 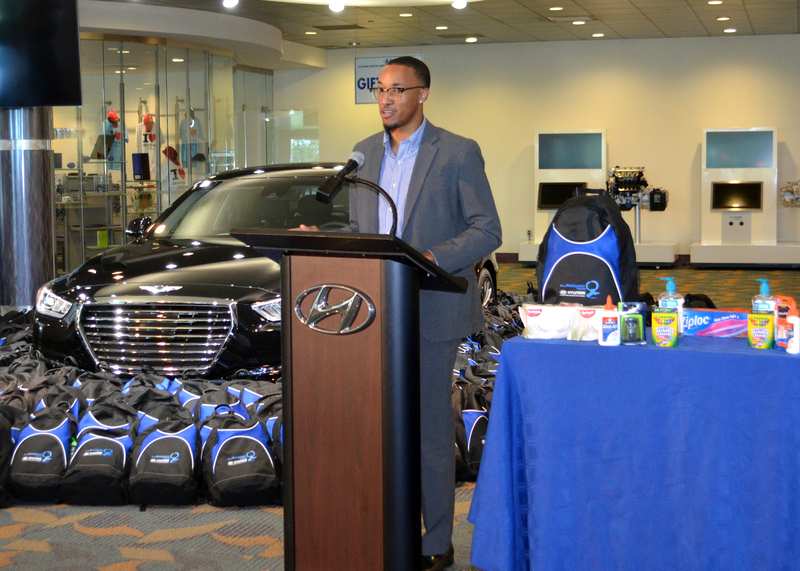 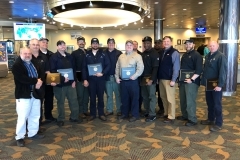 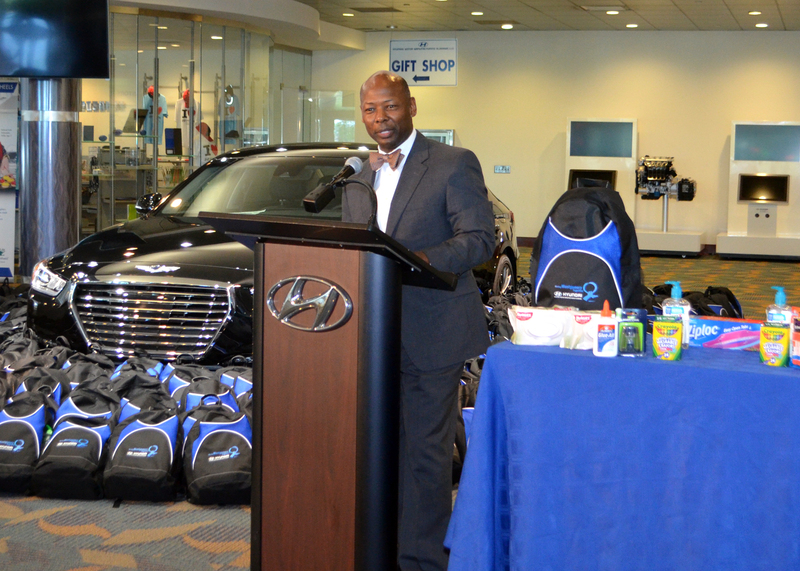 Over three weeks, Hyundai Motor Manufacturing Alabama Team Members descended on local retail stores to purchase more than $8,000 worth of school supplies. 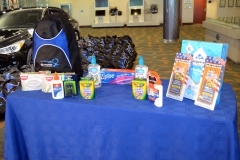 Team Members picked up backpacks/totes purchased by HMMA and filled them with a recommended list of supplies. 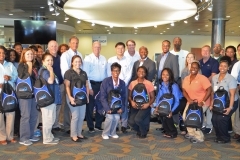 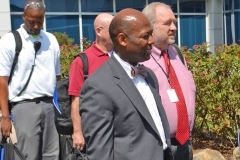 The filled backpacks were then presented to representatives from the Montgomery Public School System and Montgomery Education Foundation who will coordinate the distribution of the school supplies to local students. 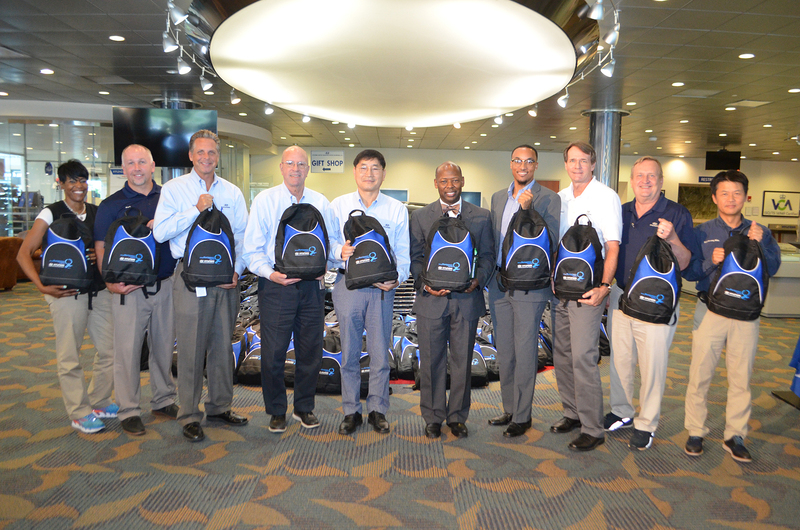 This was HMMA’s sixth Pack-A-Backpack campaign. 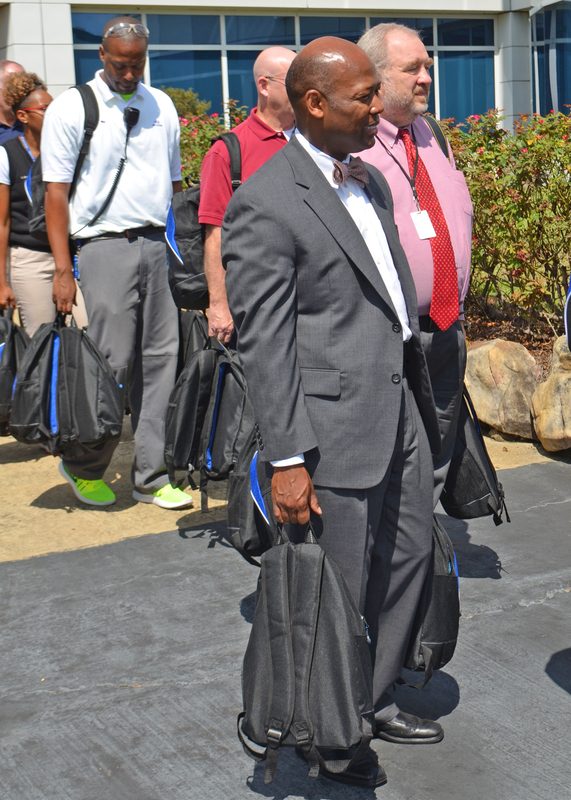 Each backpack contains: copy paper, No. 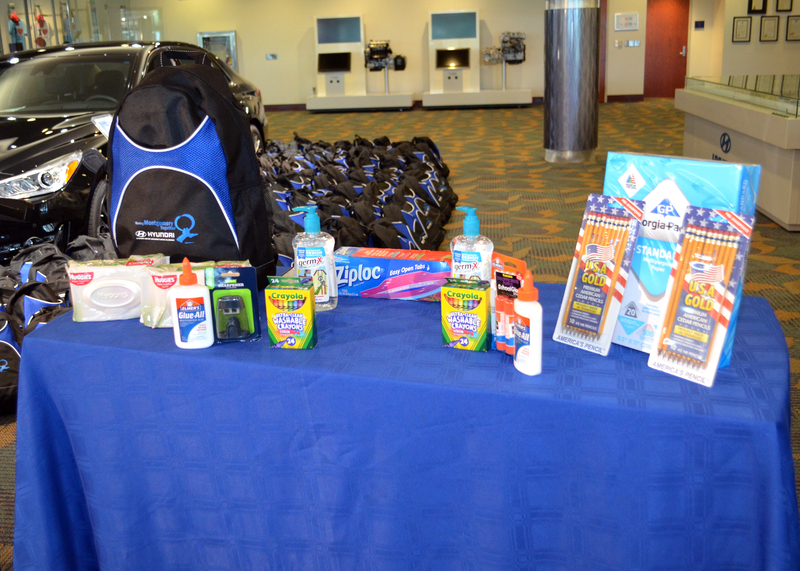 2 pencils, pencil sharpener, crayons, glue sticks, bottles of glue, Ziploc bags, hand sanitizer, and baby wipes.